We know you have many choices. Our sincere thanks for choosing us! Monday & Wednesday 9 a.m. - 6 p.m.
Tuesday & Thursday 8 a.m. - 5 p.m. 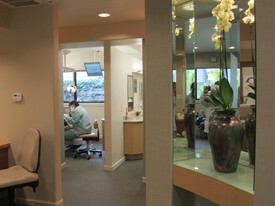 If you wish to change an existing appointment, please call us at 707-527-0363. There is no charge for appointments changed with 2 business days' notice. Thank you for your courtesy.